BAYADA Home Health Care, a US leader in home health care, has partnered with Korea Home Health Care to provide high-quality care services to Korean seniors in the comfort of their homes. 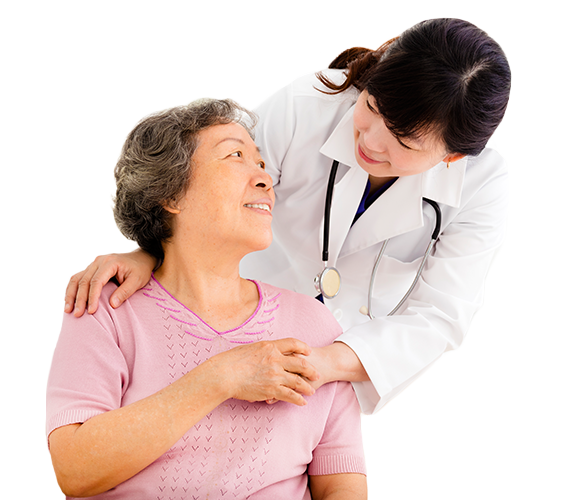 With more than 40 years’ experience, BAYADA brings to Korea a wealth of clinical resources and expertise in delivering home health care with compassion, excellence, and reliability. Home care includes any professional support services that allow a person to live safely in their home. In-home care services can help someone who is aging and needs assistance to live independently; is managing chronic health issues; is recovering from a medical setback; or has special needs or a disability. Professional caregivers such as nurses and home care helpers provide short-term or long-term care in the home, depending on a person's needs. Nursing services: Experienced RNs can help with recovery from an illness, injury, hospital stay, or surgery. Nurses are focused on helping patients avoid unnecessary hospitalizations by teaching them how to manage their condition, respond to symptoms, and prevent a flare-up. Care helper services: Care helpers provide assistance with activities of daily living such as personal care (bathing, dressing, toileting) or housekeeping (light cleaning, laundry), helping seniors stay safe and independent at home, while giving their families peace of mind when they are not there. Since 1975, BAYADA Home Health Care has made patients and families our central focus and believe everyone should be able to receive the care they need in the place they love—home. Our company philosophy—The BAYADA Way—unites us in a shared mission of helping people have a safe home life and we are dedicated to providing home care with compassion, excellence, and reliability. If you are interested in learning more about our home health care services, please fill out this form to get started. A representative will contact you within 24 hours of receiving your inquiry.